Bob Cargill's latest In My View over on Bible and Interpretation argues in favour of BCE / CE vs. BC / AD, Why Christians Should Adopt the BCE/CE Dating System . In my previous post, I looked at N. T. Wrong's take on the issue, but now I would like to make a few additional comments of my own. For some, the usage will not in any case be a matter of choice. Within Biblical Studies, the usage is now so widespread that some authors will have had it imposed on them by publishers who make this an element in their house style. Indeed, the usage is much more widespread in our area than it is in any other discipline, and by a country mile. Bob speaks of "the increasingly accepted international scientific standard of BCE (“Before Common Era”) and CE (“Common Era”)": but I am not sure that it is so widespread. I rarely hear it outside of our field. Bob's focus is on the BC / AD labels as they are used by Christians (note the title), but the difficulty is that everyone uses these labels. As Chris Heard points out in comments, Richard Dawkins uses it without apology. Moreover, I don't think the term "dating system" is quite right. The dating system is the same, on BCE / CE and BC / AD; it is the labelling within the system that differs. While the Gregorian calendar accurately represents years of 365.25 days, Dionysius’ calculations skipped the year zero, jumping immediately from the year 1 BC to the year 1 AD. The result is a calendar that claims to be based upon the birth of Jesus, but which skips the first year of his life. There is also no "year zero" on the Gregorian calendar, so bringing it up in this context is a bit of a red herring. Dionysius did not "skip the year zero"; he did not factor in a year zero. It is true that there are astronomical calendars that subsequently have factored in a year zero, but this is not relevant to the Gregorian calendar, or to Dionysius Exiguus, which work with a transition from 1 BCE to 1 CE. There is no question of the first year of Jesus' life being "skipped". If we add to these 4 years the fact that Herod the Great did not die immediately after the birth of Jesus, but, according to Matthew, ordered the death of all children two years of age and younger in an attempt to kill Jesus, we can add an additional two years to the birth of Jesus, making his birth approximately 6 BCE. If we also add the missing year zero, it is most likely that, according to the Gospel of Matthew, Jesus was born around 7 BCE! I doubt that we can be too precise about Matthew's dating. I am a bit of a sceptic when it comes to the historicity of Matthew 1-2. At best, I think he had a vague idea of the rough time when Jesus was born. The murder of children of two years old and younger may also say nothing about the time elapsing; it may have to do rather with Herod's attempts, as Matthew conceptualized it, to be thorough. The extra year for year zero is not necessary and should be dropped too. Thus, the BC/AD system is fundamentally flawed in that it misrepresents the birth of Jesus by approximately 7 years. This means that Jesus’ ministry did not begin around the year 30, but instead around the year 23. Likewise, Pentecost and the origin of the Christian Church should not be dated to “33 AD,” but to about 26 CE. The "year 30" is presumably based on Luke's notice that Jesus was "about thirty years old" at the beginning of his ministry (Luke 3:23), working forward from 7 BCE to 23 CE. But there are other indicators of date here in Luke, most specifically the fifteenth year of the reign of Tiberias (Luke 3:1), which places the beginning of Jesus' ministry in 29CE. Bob's "year 23" can't be right. Moreover, 23 CE is too early for the note that Pontius Pilate was governor of Judaea (Luke 3:1), which makes 26 CE the earliest possible date for this (26-36 CE). I have one more concern. Bob notes rightly that Matthew dates Jesus' birth near to the death of Herod the Great (Matt. 2.15, 19-21) and that Luke apparently dates it at the time of the census that took place "when Quirinius was governor of Syria" (Luke 2.2). Since the latter probably occurred in 6 CE, Bob suggests that there is a 10 year (or so) discrepancy between the dates of Jesus' birth in Matthew and Luke. However, this cannot be the case. Luke 1.5 follows Matthew in dating the action during Herod's reign. Unless he thought that Elizabeth had a ten-year pregnancy, Luke is not dating Jesus' birth in 6 CE. What on earth he is doing with the mention of Quirinius in Luke 2.2. is a mystery, but my guess is that his dating is a bit off. He has things roughly in the right decade or so, but he is not precise enough here for us to work out exactly when he thought Jesus was born. (He is a bit more confident when he gets to the beginning of John's ministry, on the other hand, in 3.1). See also comments on Daniel McClellan, Clayboy and The Sacred Page. The abbreviations C.E. (Common Era) and B.C.E. (Before Common Era) are commonly used in modern biblical scholarship to refer to the eras which were formerly known as A.D. (Anno Domini - The Year of The Lord) and B.C. (Before Christ). The usual rationale for the change is sensitivity to other religious and non-religious users of the Gregorian calendar. That is, given the number of worldwide users of the Gregorian calendar who don’t believe Jesus of Galilee is ‘The Lord’, a more neutral term is thought to be provided by ‘Common Era’. By using ‘C.E.’ and B.C.E.’, we universalize a peculiar tradition. We make it out to be ‘common’ or ‘natural’, not requiring any special marking or qualification. As a consequence of the fact of Western power, the Gregorian calendar has been adopted as the most-used calendar in the world, and so does have some degree of ‘commonality’ in day-to-day use. But the change from A.D. to C.E. (and from B.C. to B.C.E.) obscures the particular Christian basis of this ‘common’ calendar, misrepresenting it as ‘normal’ - as somehow transcending historical particularities. By contrast, the other calendars are made out to be the only ‘localized’ and ‘particular’ calendars. While the Christian calendar is ‘naturalized’ by its designation as ‘common’, other calendars (Jewish, Persian, Islamic, Chinese, Hindu, Ethiopian, Thai, etc) are ‘artificial’ and ‘contingent’. Stop this neo-colonialism! Use A.D. and B.C. again!! The specific marking of these older terms, which refers to the Christian concept of ‘Christ’, may well be offensive to some people. But this offence is substantial and systemic, not removeable by changing the name of the year which is dated from the birth of Christ. The hegemony of the Western calendar is a fact, and just one of the many effects of Western power in the world today — a minor but not insignificant fact, given the universal importance of local calendars in shaping culture. To obscure the Western calendar’s particularity by making it into a false universal is a double injustice – both the initial violence of changing local calendars, and then its covering up with the misleading term “common”. This is ideology at work. I must confess that there are far too many blogs in the top 50 that I don't yet subscribe to. I'll have to put that right. It's nice to see the NT Blog still in the top 10, and even more encouraging to see the NT Pod jumping a massive 78 places to 58. It's good to see James McGrath back in the top 10, but those of you who aren't reading Paleojudaica should be. I am sure Dr Jim (Linville)'s blog will continue to rise up the list in the future. It's one of the most entertaining of all the biblioblogs, in my humble opinion. One curiosity -- I don't see Bob Cargill's blog anywhere, and it certainly should be added. And congratulations to Jim West for holding on to the top spot for the sixth month in a row. A month on, and Bob Cargill is included in the Top 50, Jim Linville continues to roar up to the top, James McGrath is making steady progress, and Jim West is number 1 for the seventh month, though with Joel Watts breathing down his neck and poised to take over. I am still disappointed by the fact that Paleojudaica polls where it does. But I notice that the tradition in commenting on the Biblioblog Top 50 is to comment on your own ranking, and not others', so I will follow the trend and note that it's good to see the NT Blog in its highest ever post-split position, at Number 5, and to see the NT Pod making its debut in the Top 50, at 47. I think I'm the only person with two entries in the Top 50. I'm not playing fair! It's been a good month for the NT Pod, which is still in the iTunes U Top 40 downloads, with episode 13 apparently the most popular episode, with over 4,000 downloads. I often find myself curious about genealogy, and I am a big fan of Who do you think you are? and Tracing Your Roots. I have stumbled across something of interest to me because it indirectly connects two worlds, Doctor Who and the Gospel of Thomas. Arthur Hunt, along with Bernard Grenfell, unearthed fragments of what turned out to be the Gospel of Thomas first in 1896 (P. Oxy. 1) and subsequently in 1903 (P. Oxy. 654, 655), alongside many other fantastic finds in Oxyrhynchus. I have been reading up a little on both of these men, and I noticed that Arthur Hunt's mother was called Emily Pertwee. Pertwee is a very unusual name; it comes from the French Huguenot family name "Pertuis". 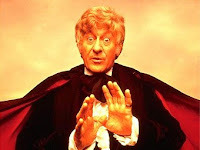 And the name of the third doctor is, of course, Jon Pertwee (pictured here). After casting around a bit, I am pretty sure that they are related, though I haven't worked out the precise relationship yet -- I have several old records to work through. I will report back when I have more. As it happens, Jon Pertwee's grandmother was called Emily but this is Emily Pertwee, née Moore. Next year's "Use of the Old Testemant in the New" seminar will take place at St Deiniol's Library, Hawarden, N.Wales from Thurs 18 March to Sat 20th. The all inclusive cost will be around £140. Offers of papers (45 min or 30 min) to Steve Moyise (s dot moyise at chi dot ac dot uk) by Dec 15th. I have often talked about the argument for the existence of Q that appeals to the discovery of the Gospel of Thomas, most recently on the blog in a post on The Gospel of Thomas and Q, and most fully in print in the last chapter of The Case Against Q. Since my attention has turned to Thomas, I have returned again to the argument that aligns Q and Thomas. I notice that in studies of the Gospel of Thomas, the alleged similarity with Q acts to anchor Thomas (or early versions of Thomas) to the first century, on the grounds that Thomas shares a genre with Q. This genre is on a general level logoi sophōn ("Sayings of the Wise"), but more specifically "the Sayings Gospel", and it fell into disuse with the triumph of narrative Gospels. Q was absorbed into Matthew and Luke; Thomas was lost. Q must, of course, predate Matthew and Luke, so it it helps us to anchor the genre to the mid first century. It is difficult for Q sceptics like me to know quite how to react to this kind of argument except to note that without Q, Thomas (or an earlier version of Thomas) looks a little more isolated as a first century text. Q and Thomas together are the major players in the Koester-Robinson inspired model that sees a Passion-free Christianity as a key trajectory in Christian origins. Thomas on its own would have a lot of work to do. It is unsurprising, therefore, that those influenced by the Koester-Robinson model are always adherents of the Two-Source Theory. The discovery of The Gospel of Thomas in 1945 silenced those who claimed that there was no analogy in early Christianity for a collection of Jesus sayings without a narrative framework. (Robert E Van Voorst, Jesus Outside the New Testament (Grand Rapids: Eerdmans, 2000), 157). Van Voorst does not name these scholars who were “silenced” and I begin to wonder if in fact they existed at all. Who are these scholars, often alluded to but never named, who were sceptical about the existence of Q but who were silenced by the discovery of Thomas? It is possible that the general impression results from a misreading of Austin Farrer's "On Dispensing with Q", in which he attempted to point to the generic peculiarities of Q, but it may be that his point was too sophisticated to be persuasive, and his apparent ignorance of Thomas (in the late 40s and early 50s) too striking to carry the day. The only minor addition that needs making is that the steering committee of the program unit here mentioned also includes Michael Barber and Chris Brady. [W]e must reckon that the later Matthew knew the earlier Luke, took over parts which seemed to him appropriate, i.e. the content of which was promising, and in the process of course also altered his theological wishes accordingly. This is already indicated by the fact that as a rule the more original version is attributed to Q-Luke as opposed to Q-Matthew. In addition - and here Papias can put us on the right road - there were certainly also one or more 'Logia collections'. But - as I have already said - we can no longer reconstruct these adequately, especially as we cannot know what the evangelists changed or omitted in the sources, unknown to us, which they probably had in more abundance than we suppose." I think Hengel's relatively early date for Luke is in part a consequence of the stance he earlier developed on the historicity of Acts (e.g. in Paul from Damascus to Antioch) where he shows impatience for those with more radical perspectives. But the brief statement above is actually misleading. It is not the case that "as a rule", Luke is more primitive in double tradition material. If you work through the Critical Edition of Q and the volumes so far completed of Documenta Q, it's pretty much 50/50 in terms of alternating primitivity, hence the term alternating primitivity. I hate to say it of so great a scholar, and one so recently departed, but I don't see any evidence in Hengel's Gospels work that he has worked through the issues connected with the Synoptic Problem carefully. James McGrath has an enjoyable and characteristically lively response to my post in Mark's Kung-Q vs. The Bolt from the Johannine Blue. With respect to my point about Matthean language, rhythm and imagery occurring in the double tradition material, James notes that "the bolt from the Johannine blue" (Matt. 11:21 // Luke 10:22) features language remarkably reminiscent of John in a passage that by most accounts pre-dates John. But within the context of discussing direction of dependence in material that is near verbatim identical (Matt. 3:7 // Luke 3:7; Matt. 3:10 // Luke 3:10), I was attempting to make the point that the direction of dependence is more likely to flow from Matthew to Luke than from Luke to Matthew. What we have in the bolt from the Johannine blue is language that is similar to Johannine language, not language that is similar in a passage where there is verbatim agreement. It is an interesting point that this could be the seed out of which the Johannine discourses grow, but if so, what this gives us is an insight into the matrix of early Christian thought and its evolution. There is no verbatim agreement here between Matthew // Luke and John. In other words, no one seriously doubts that there is a literary link of some kind between Matthew and Luke at 3:7 (etc. ), whether directly or mediated via Q. The question, once that literary link has been established, is where the direction of dependence goes. .The Synoptic Problem is fascinating, isn't it? Can't imagine why so many apparently find it so dull! I released another NT Pod earlier this week, episode 14, in which I asked, "Was Paul really an "apostle"?" The simple answer is, of course, that it depends on your definition. As far as Paul was concerned, this is a table-thumping issue -- and he is insistent on the point (1 Cor. 9:1-2; 1 Cor. 15:1-11; Gal. 1:1; 1 Cor. 1:1; 2 Cor. 1:1; Rom. 11:13; 2 Cor. 12:12, among other texts). But were others reluctant to give him this designation? I argue that this is the case and that you can see this underlying texts like 1 Cor. 9:1-2, 1 Cor. 15:8-11 and 2 Cor. 12:12, among others. And the extraordinary thing here is that the controversial nature of Paul's designation as "apostle" continues at least until Luke writes Acts. Luke is famously reluctant to give his hero the designation "apostle" (only twice, of Paul and Barnabas, Acts 14:4 and Acts 14:14), no doubt because it does not satisfy the definition he gives earlier (Acts 1:21-26). Why not Matthew's use of Luke? Over on Exploring Our Matrix, James McGrath asks Did Matthew use Luke? A Neglected Angle on the Synoptic Problem. It is one of the rarer theories to come up in Synoptic studies and it has no detailed published case from recent times. It has been floated by Martin Hengel (alongside Q) and Ronald Huggins and it is now being explored fully in a PhD dissertation at Dallas Theological Seminary by Robert Macewen. I occasionally get asked myself about this view, presumably because it reverses the direction of dependence for which I argue, in The Case Against Q, and so, perhaps, it helps us to think through the plausibility of the case for Luke's familiarity with Matthew. Since James specifically tags me, as it were, in his post, and since it is difficult to resist a good, old-fashioned Synoptic Problem post, I will make a few comments. My initial reaction when asked about this is usually simply to say that it's a radically different theory from the one I argue for (it reverses the key thing). Sometimes Q theorists imagine that the big issue for Q sceptics, like me, is dispensing with Q at all costs, and that Luke's use of Matthew just happens to be the way we have chosen to do it. On the contrary, I actually quite like Q, but I am unpersuaded that it exists because I think Luke knew Matthew. In other words, I, and others like me, have not begun from the premise, "We must get rid of Q at all costs. Now, what's the strategy?" We begin from finding Luke's use of Matthew, alongside Marcan Priority, to be more persuasive than the alternatives, and that theory entails the end of Q. It is true that the rhetoric of our case often brings up Q, Farrer's "On Dispensing with Q", my Case Against Q, Goulder's "On Putting Q to the Test", and so on. But the reason for this is largely strategic. In a world where the vast majority of scholars are wedded to Q, one needs to gain their attention somehow. Would my book have been as successful if I had called it "Luke's use of Matthew", or "The Farrer Theory"? I doubt it. Let me underline then that I really think that Luke knew Matthew. It's not just a game; I actually think that the Farrer theory explains the data far better than the opposing theories. Like others, I frame the case by arguing with Q theorists because that is the dominant alternative. Similarly, when arguing for Marcan Priority (Case Against Q, Chapter 2; Synoptic Problem: A Way Through the Maze, Chapters 3-4, etc. ), I frame the case by arguing with adherents of the Griesbach Hypothesis because they have been the dominant group in the academy that opposes Marcan Priority. (a) Matt. 3.7 // Luke 3.7: γεννήματα ἐχιδνῶν, τίς ὑπέδειξεν ὑμῖν φυγεῖν ἀπὸ τῆς μελλούσης ὀργῆς; ("Brood of vipers! Who warned you to flee from the coming wrath?"). Matthew will use this offensive vocative + rhetorical question (labelled an echidnic by Michael Goulder) twice again in remarkably similar forms, 12.34, γεννήματα ἐχιδνῶν, πῶς δύνασθε ἀγαθὰ λαλεῖν πονηροὶ ὄντες ("Brood of vipers! How can you speak good things when you are evil?") and 23.33, ὄφεις, γεννήματα ἐχιδνῶν, πῶς φύγητε ἀπὸ τῆς κρίσεως τῆς γεέννης ("Snakes, brood of vipers! How can you flee from the judgement of gehenna?"). I think we should resist the temptation to play these links down. We are not dealing with everyday phrases. The imagery (snakes' offspring), the rhythm (echidnic) and language (wrath / judgement / gehenna) is strikingly Matthean and tells us in which direction the borrowing is going. (b) 3.10: πᾶν οὖν δένδρον μὴ ποιοῦν καρπὸν καλὸν ἐκκόπτεται καὶ εἰς πῦρ βάλλεται ("Therefore every tree not producing good fruit will be cut down and thrown into the fire"). Virtually the identical sentence occurs again in 7.19. Once again it is not just the language but also the imagery that is Matthean. Even my introductory New Testament class knows that Matthew's is the Gospel that exploits harvest imagery to the tell the story of judgement and hell-fire. The Matthean apocalyptic scenario, here appearing for the first time in the Gospel, will be repeated at regular intervals: (a) Demand for good fruits / good works; (b) Separation at the Eschaton; (c) Burning of those whose deeds are evil. (2) Fatigue in the Synoptics: There are several examples of Luke's secondary nature with respect to Matthew in double tradition here -- see "Fatigue in the Synoptics". In researching that article, I found several good examples of Lucan fatigue in double tradition but none of the opposite. One of the best examples is, I think, the Parable of the Talents / Pounds, where Luke makes characteristically Lucan initial changes to the plot of Matthew's parable (ten servants, one pound each -- typically Lucan 10:1 ratio) but then steadily reverts to the Matthean plot, with its three servants ("the other", 19.20) and money (not city) rewards. In the article, I argue that since we know that Matthew is often fatigued in his rewriting of Mark, it is odd that he is apparently never fatigued in the double tradition material. The reason is that Luke is using Matthew, not vice versa. (3) Luke's Preface with its "many" inclines one towards a Luke who is self-consciously second generation in a way that is less clear with Matthew. The general indications of date also tend to favour a later Luke. (4) Luke is almost never the middle term: Mark is usually the middle term among the Synoptics, a scenario easily explained on the assumption of Marcan Priority. Sometimes Matthew is the middle term, a fact that Farrer theorists explain on the assumption that these are triple tradition passages where Luke is focusing on Matthew rather than Mark. It would be odd, if Matthew were the third evangelist, that his use of Luke never results in Luke-as-middle-term. (5) Order: Why would Matthew break up Luke's superb ordering of the sayings, which are in highly appropriate contexts in Luke, tearing every little piece out of its context, only to lump them together in a wooden fashion in huge, unwieldy discourses? Such a theory would only tenable if we had reason to think that Matthew was a crank. OK, admittedly my number 5 is a parody, but the other reasons sketch some first thoughts on why I would not find Matthew's use of Luke plausible, but the bottom line is that I am already persuaded by another theory that, in my opinion, explains the data much better. I haven't had a chance this week to comment on the latest NT Pod over here. I don't have any special programme notes to add on this one, but I usually at least give the latest episode a mention, so before I release the next episode, I'll mention that NT Pod 13 deals with Mary Magdalene as "the first woman apostle", following on from the previous episode on Junia (NT Pod 12). Since it appeared on the front page of iTunes U, it's been doing remarkable things in their chart and now sits at number 41 in their top downloads, and it's at number 2 in Duke's iTunes U top downloads. Apparently well over 2,000 people have downloaded episode 13 since last week. I suppose it's time I recorded another one. Thanks for all the encouragement, everyone! Update (Wednesday, 16.39): NT Pod enters the iTunes U Top 40, at number 35 (iTunes U Top Downloads). I am surprised by how often I hear scholars making disparaging remarks about the internet. It is still commonplace to find university professors discouraging their students to use the internet in their research, and to play off electronic resources against print resources, as if the medium of delivery is itself an indicator of the quality of the resource in question . . . .
Duke University New Testament scholar Mark Goodacre says Saint Paul would be more inclined to Twitter. Frank Deasy had a distinguished career as a television writer, winning an Emmy two years ago for the final instalment of Prime Suspect and injecting fresh drama and debate into the Gospel story with his BBC/HBO mini-series The Passion last year . . . .
. . . . Deasy attempted to put Christ’s final days into some sort of political context in The Passion, expanding the roles of Pontius Pilate and Caiaphas and presenting a sympathetic portrait of Judas Iscariot. 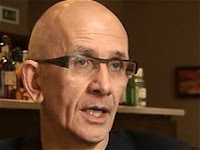 “I’ve always had a problem with Judas in Passion stories in that he suddenly and inexplicably betrays Jesus,” said Deasy. “I was keen to develop a psychological reality to Judas’s portrayal.” Traditionalists accused the BBC of rewriting the Gospel, but the mini-series received generally favourable reviews. One of my favourite blogs, as a British resident alien living in America, is Separated by a Common Language, which offers some fascinating and, in my experience, always accurate reflections on the differences between British English (BrE) and American English (AmE). Well, now that AKMA has made the opposite journey from the one I have made, going from American academia to British, I thought I might offer a few suggestions about how things differ when lecturing on Biblical Literature and History. He's already attempting to master the art of adding "u" to certain words but here are a few more specific suggestions for being understood in being understood as a successful (BrE:) lecturer (AmE: professor). Pauline: AmE: "PaulEEn"; BrE: "PaulIne". Similarly AmE: "PhilistEEns"; BrE: "PhilistInes"
1 Corinthians (etc. ): AmE: "First Corinthians" (etc. ); BrE: "One Corinthians". Isaiah: AmE: "IzAYah". BrE: "IzIah"
Caesarea: AmE: "SEzarea"; BrE: "SEEzarea" (But I think Americans talk about "SEEzar and not SEZar). Review: AmE for BrE "revise". Freshmen: AmE non-gender-inclusive term meaning "freshers". I understand that in the UK, we went gender-inclusive on this one back in the 60s. I have begun the advocacy of the term "fresher" here in the US by using it in my classes at Duke, but it will be slow progress getting this one out there more generally. (But when it does happen, remember that the revolution began here!). Update (19.06): I am grateful to Lynne Murphy, author of Separated by a Common Language, for her comments on this post. She points to her discussion of the review / revise issue and notes all the posts with the education label. My Duke Live "Online Office Hours"
I am back in my real office now, having left the virtual office of Duke's "Online Office Hours" where I answered questions on the New Testament in front of a camera. The studio is actually just around the corner from where I am; it is in the bowels of the Bryan Center, not from from Gray Building. I never knew it was there, nor did the Duke Chronicle photographer, Robin Mi, who snapped the picture here. These online office hours are a new venture at Duke and I enjoyed being involved. The basic idea is that you sit in front of a camera and people email in their questions. (In theory they tweet and facebook them in too, but I don't think there was much of that in practice). The most difficult question I was asked was the first, about Dan Brown, since I have never read the Da Vinci Code, nor have I seen the film. I enjoyed the chance to talk a little bit about The Passion (BBC/HBO), especially in light of the tragic death of Frank Deasy yesterday. I was also asked about homosexuality and the Bible, penal substitution, the extent of Christian orthodoxy in the first century, the Gospel of Thomas, my recent podcasts on Junia and Mary Magdalene, and a wide range of other things. No questions on Q or the Synoptic Problem, which is probably a good thing since I might have yabbered on too long about that. In fact in general, I did a bit too much in the way of yabbering on and did not pause often enough, but there is something quite unusual about being in what seems like an empty room, with just a camera for company. James, who asked the questions, was behind a curtain, just like in The Wizard of Oz, but there was no Toto to reveal him and the levers he was pulling, so he stayed there until the end. It was nice to be joined by several bloggers, with questions from Brian Tucker on Pauline influence on Matthew, Jim West on Biblical archaeology and TC Robinson on the new perspective on Paul. Apparently the whole thing will be archived and available soon. I'll provide a link at that point. Many thanks to my colleagues at Duke who invited me to do this, and thanks to those of you who took part. It is a delightful obituary and through several personal reminiscences Richard Burridge gives the reader a real sense of the man. Once again the warm-hearted, kind nature of Graham Stanton comes through, as well as his importance in the field. Indeed Burridge regards him as having been "the foremost scholar on Matthew’s Gospel in the English-speaking world" and he suggests that his The Gospels and Jesus "has been the standard textbook of the past 20 years". For other tributes and obituaries, follow this link: Graham Stanton. The Irish screen writer Frank Deasy, whose works include the award-winning finale of the Prime Suspect TV series, has died in hospital in Scotland. The 49-year-old Emmy winner, who was originally from Dublin, had been suffering from liver cancer . . .
. . . . He also wrote the The Passion, a BBC/HBO production which dramatised the final days of Jesus Christ and which featured Broughshane actor Jimmy Nesbitt in the role of Pontius Pilate. Last Sunday, he wrote about his illness and his urgent need for a liver transplant in the Sunday Observer. I was very lucky to work with Frank when I was consultant on The Passion. We had been in email contact this week, in fact only on Tuesday, and in spite of the article in The Observer, his death seems really sudden and shocking. Frank was a wonderful writer. I think his script for The Passion will be seen as one of the greatest re-imaginings of the Passion narrative for many years to come. He was a delight to work with, always encouraging, always listening, always interested, always interesting. As it happens, our longest discussion during the whole process was about death, and how he would treat Jesus' death on the cross in the drama, and how depiction of death would affect viewers. I'd like to collect my thoughts and write about Frank a bit more later. What a great loss and a sad day. More here on BBC News; article in The Scotsman. Over on the Forbidden Gospels blog, April DeConick has a characteristically interesting post on The Never Ending Confusion about Perspective. As someone who approaches the New Testament and Christian Origins as a historian, there is plenty that I agree with in April's post, but I can't say that I am too keen on the label "confessional scholarship", especially where it is used as a contrast with "historical-critical scholarship". The difficulty is that many of those scholars who are also people of faith work with a historical-critical approach. Indeed, the historical-critical approach is something that developed out of discussion within Christianity, and among Christian scholars. It is profoundly indebted to the Reformation and most of the pioneering historical work on the New Testament and Christian Origins was done by Protestants who combined a critical, questioning perspective on their faith with an interest in the historical roots of that faith. Rudolf Bultmann, for example, was a "confessing scholar" at the same time as being a pioneer of the most robust kind of "historical-critical scholarship". Indeed, as a member of the Confessing Church, one might say that his historical-critical scholarship cohered with his Christian stance against the Nazi regime. And I can think of many, many scholars today who are sophisticated, critical historians of early Christianity who at the same time remain within Christianity. One of my concerns about labels like this, especially where they are played off against one another as polar-opposites, is they can distort the picture of contemporary scholarship and play into the hands of those who misrepresent our field. April's earlier post on Robert Eisenman is a case in point. April criticizes Eisenman for incorrectly characterizing her as a "conservative" on the grounds of her views on the Gospel of Judas. I quite agree with April's concern about Eisenman's ill-informed article, but it may show that ultimately these silly labels do more harm than good. James Crossley has often experienced the same kind of thing -- labelled as a conservative because of his apparently conservative views on the dating of Mark's Gospel. I am not, of course, suggesting that April herself would use terms like "confessional scholar" in an indiscriminate fashion, but I want to suggest some caution about our adopting terms that could play into the agendas of those with whom we disagree. When I saw the NT Pod on the front page of iTunes U yesterday, as well as being dead chuffed I was also a little embarrassed by my minimalist paintbox logo. My friend Stephen Toback has generously designed me a great new logo, which you see here. It appears on the NT Pod's site, and also on its page on Duke University's iTunes U, but changing album art on iTunes main store is exceptionally difficult if you do things the way I do (with blogger and feedburner). Incidentally, hits on the site have doubled since iTunes U put it on their front page. It's nice to think that higher education is so popular that people are surfing in to to iTunes U to see what's available. Bob Cargill, Meeting Students Where they are: Using Twitter to teach, picks up on an interesting article in the Chronicle of Higher Education on Professor Gets Religion about Twitter in Class. The article mentions that only 11 out of 80 students had signed up in the early stages of the class in question, but that he hoped more were to come. I have discussed this issue before (Using Twitter in the classroom) and have not, as yet, done anything much with Twitter in class myself. One of my reasons for this is that students don't actually use Twitter. Not yet, at any rate. Not many. Not much. Current undergraduate students, like High School students in the US and secondary school students in the UK, are massive Facebookers, but they think of Twitter as the preserve of middle-aged men ("I am sitting on the patio") and celebrities. I would have to see a major shift in student take-up of Twitter before I would be interested in experimenting in using it in teaching, and I am saying that as something of a twitter-holic myself (a middle-aged man and not a celebrity). Viewers can submit questions in advance or during the session by email to live@duke.edu, on the Duke University Live Ustream page on Facebook or via Twitter with the tag #dukelive. Or just go straight to the Duke ustream channel. I would prefer not to sit there just busking, so please join me if you can! It kicks off at 12 noon EST, which will be 5pm in the UK. Update: thanks also to James McGrath on Exploring our Matrix and Joel Watts on Church of Jesus Christ for the mentions. Thanks to Steve Toback for letting me know that the NT Pod today made it to the front page of iTunes U (screen shot to the left). I'm dead chuffed! I am delighted to see the following appearing on the Sheffield Phoenix Press website. I have read the book in manuscript and loved every page. It is a real treat. I hear that publication should be in time for the SBL Annual Meeting in New Orleans in November. Michael Goulder is a scholar who has always taken an original approach to the Bible and biblical criticism. He has developed five major theories, which challenged received opinion among the learned; and the book tells the story of how these ‘stones’ fared when confronting the biblical establishment. He wryly admits that his slinging has been rather less successful than David's against Goliath. Among his five theories a special place must be given to his demonstration of how much of the teaching ascribed to Jesus actually derived from the evangelists—the Lord's Prayer for example being composed by Matthew out of Jesus' prayers in Gethsemane. The parables too are the composition of the evangelists, Matthew characteristically writing of kings and rich merchants, while Luke speaks of women, stewards, a beggar and a Samaritan. A long-rooted error Michael Goulder has valiantly opposed has been the belief that Matthew and Luke were both dependent on a lost source, Q; in fact, he argues, Luke was familiar with Matthew's Gospel and copied or developed its teaching as he thought best. Goulder has worked at the Old Testament as well as the New. He concludes that the Psalms were not the individual prayers of pious Israelites, as Gunkel and others supposed, but the compositions of kings or their poets, deploring national disasters and praying for blessing at the great autumn festival. This account of Goulder's scholarly work is fascinatingly interwoven with that of his life and ministry; and there are many anecdotes and vignettes of other people that are both amusing and interesting. He was ordained a priest in the Anglican Church, and though he resigned his Orders in 1981, he never lost his love of the Bible. Michael Goulder was Professor of Biblical Studies at the University of Birmingham prior to his retirement in 1994. In his latter years, he said that he felt dons were having to spend too much time showing others how to do their jobs, and not enough time actually doing them. He was equally clear that there were too many books in the world; and accordingly he himself wrote sparingly, and only when he had something to say. His SCM Pelican Commentary on Revelation was published in 1979, and was well-received. It remains an inviting introduction to one of the strangest books of the Bible. See also previous posts on John Sweet. Andronicus and Junia prominent among "the apostles"
ἀσπάσασθε Ἀνδρόνικον καὶ ᾿Ιουνίαν τοὺς συγγενεῖς μου καὶ συναιχμαλώτους μου, οἵτινές εἰσιν ἐπίσημοι ἐν τοῖς ἀποστόλοις, οἳ καὶ πρὸ ἐμοῦ γέγοναν ἐν Χριστῷ. Attention has focused on two elements here, the identity of Junia, now universally taken to be a woman, and the translation "prominent among the apostles" (NRSV) vs. "well known to the apostles" (NET Bible). I am not persuaded by the latter translation for the reasons given by Eldon Jay Epp, Linda Belleville, and blogged in detail by Suzanne McCarthy (see Programme Notes), but there is a small element I would like to add to the discussion, Paul's use of the term "the apostles". I think it is one of those occasions where attention has been so focused on those other points of translation and interpretation that we may have missed something else in the passage. The question I would like to pose is whether Paul is more likely to have used the term "the apostles" if he were saying "prominent among the apostles" (NRSV) or if he were saying "well known to the apostles" (NET). The former is, I think, far more likely. In that former translation (NRSV), "the apostles" works simply as a descriptor. It tells us about Andronicus and Junia's status as (prominent) apostles. It makes sense and is perfectly Pauline. In the NET translation, on the other hand, "the apostles" is used in a less obviously Pauline sense. Now he is appealing to the authority of an external group labelled as "the apostles". He does not say that Andronicus and Junia are esteemed by "us apostles" (cf. 1 Cor. 4.9) or by "all the apostles, including me", as we might have expected if this were the sense of the passage. He continually refers to himself in Romans 16, and three times in this verse, 16.7, "my relatives", "my fellow prisoners", "in Christ before me", yet on the NET translation, he appears to give authority to a group called "the apostles" that does not obviously include him. It is difficult to imagine Paul using the term "the apostles" in the way necessitated by the NET translation, as a group external to Paul who confer their esteem. It's an Acts-style usage but not a Pauline one. Not keeping up with the discussion? Daniel O. McClellan has a round up, SBL Affiliation Posts Consolidated. 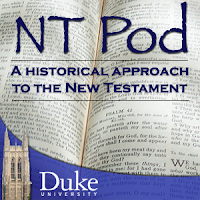 I released the latest NT Pod last night, on the topic Junia: The First Woman Apostle?. I'd like to add a few programme notes here for those who would like to follow up on the discussion. Romans 16.7 (NRSV): Greet Andronicus and Junia, my relatives who were in prison with me; they are prominent among the apostles, and they were in Christ before I was. Romans 16.7 (RSV): Greet Andronicus and Junias, my kinsmen and my fellow prisoners; they are men of note among the apostles, and they were in Christ before me. This NA27 text accents Ιουνιαν such that it appears as a female name, thus ᾿Ιουνίαν rather than ᾿Ιουνιᾶν (the latter the accenting in NA26). This is the major work arguing the case that Junia in Rom. 16.7 is a female apostle. It is short and readable. Daniel Wallace and Michael Burer, "Was Junia Really an Apostle? : A Re-examination of Romans 16.7", Journal for Biblical Manhood and Womanhood 6/2 (Fall 2001), 4-11. Online article arguing that the verse should be translated "esteemed by the apostles" and not "prominent among the apostles" (cf. NET Bible above). Linda Belleville, "᾿Ιουνίαν . . . ἐπίσημοι ἐν τοῖς ἀποστόλοις, A Re-Examination of Romans 16:7 in Light of Primary Source Materials", New Testament Studies 51 (2005): 231-24. Suzanne McCarthy has commented on the issues extensively in her blog Suzanne's Bookshelf. Also in the blogosphere: see Pat McCullough, Translation Mischief with Junia, the Female Apostle. The number of posts on the SBL / Bibliobloggers affiliation has continued to proliferate since I last commented on Wednesday. For those who have not been following it, the narrative goes something like this. 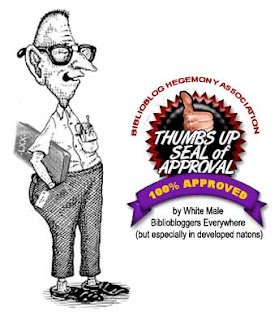 An affiliation between the SBL and "bibliobloggers" (i.e. those broadly blogging in Biblical Studies and related areas) was announced, there was scepticism about the new affiliation in some quarters, there were attempts to clarify what was involved in others, and there have been comments on both sides of the issue. Observatório Bíblico provides a list of the key contributions to the discussion (and now add If I were a bell, I'd ring; another post on Higgaion; and a post on Targuman; apologies if I have missed others; pleased add links in the comments thread below). [Update: complete list on Daniel O. Mclellan]. I have been commenting on other people's posts across the weekend, and have decided to gather together my thoughts here now. First, there is a perception around that the affiliation with the SBL means that we are taking things too seriously. Blogging should be informal, spontaneous and fun, and the new arrangement threatens that. I understand this point and agree with its premise, but disagree that the SBL affiliation is likely to cause problems. Lots of us have had relationships with the SBL in this and other areas and it has usually been greatly to the good. The accusation of taking things too seriously actually cuts both ways. The decision to opt out of any SBL / blogging discussions could turn out to be an unnecessarily forthright reaction to something that could be a productive and interesting venue. It could stimulate, it could come up with new ideas; there might be new collaborations and new voices. Perhaps there will not be, but we just don't know until we have given it a go. I suppose my feeling is that the spontaneous, risky, unpredictable side to blogging could generate some genuinely interesting and productive conversations at the SBL. That may not be the case, but we won't know until we give it a try. 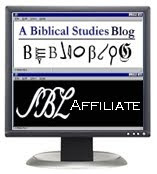 I'd like to develop a point further that I made in comments on Biblia Hebraica, and to note that the SBL has lots of affiliations and relationships with different groups and these relationships are regularly profitable. Much of the time it is simply a question of providing a forum for the discussion of important and interesting questions. The fact that the SBL has a session on the status of women in the profession is not giving women in the profession some kind of official recognition that they would not otherwise have. Rather, it is a useful forum for women to come together and discuss key issues and take action on a major issue that affects us all. Individual scholars will choose to attend those sessions, and take action, or not, as they choose. And no woman scholar is given a hard time for not attending. To take a less politically significant association, one might point to something like the Computer Assisted Research Group, or Academic Teaching and Biblical Studies. These are venues where like minded people can opt in and participate should they choose to do so. No one is forcing them to be involved; no one is given a hard time for not being involved. This is the way I see blogging and the SBL -- it could be a really useful venue for coming together and discussing some issues of interest and relevance. But if it is not, then that is no problem. One of the reasons that I agreed to serve on the new SBL / biblioblogging steering committee has been the recent discussions about women in the blogosphere, resurrecting discussions that were important when they were first raised in 2005, but which have never gone away, and now have a new urgency. I have always maintained that this is an important issue worthy of serious discussion, even if I don't get it right myself. When Jim proposed serving on a steering committee that included both April DeConick and Steph Fisher (as well as Bob Cargill and then also Chris Brady), I was immediately very enthusiastic. Consider this: only 7% of biblioblogs, it is said, are authored by women, but half of our steering committee is female. You can guarantee that one of the major issues in the new unit will be the discussion of the gender gap, and I am delighted that it will not be a bunch of middle-aged men getting anxious together about the issue. It is the proactive possibilities of the new affiliation that make me enthusiastic about it. Again, I may be wrong, but is it really worth risking losing the chance for some profitable discussion on areas of interest and importance? I'd like to add that the number of people blogging on Biblical Studies and related areas is now so massive that the group is already characterized by diversity. That is exactly as it should be, and given this huge range of areas and perspectives covered, any affiliation between the SBL and bloggers is going to be about celebrating that diversity rather than attempting to enforce a dubious unity or orthodoxy. The great thing about facilitating discussion among ourselves is that it may well lead to a realization of the major differences between us. In fact, I hope that that is the case. I wouldn't enjoy being in a session when we are all in a room nodding our heads at everything that everyone is saying. My overwhelming feeling is that we really don't have a lot to lose here. The problem is that a lot of bloggers actually imagine that the enterprise of blogging is more important than it is. Much as we enjoy ourselves doing this, we are a tiny minority of the guild, and most people don't have a clue what we are up to. Affiliating with the SBL will barely be a blip on the horizon of the vast majority of these people. Meanwhile, there is a lot that we can do by getting together and talking. In general, talking is a good thing. And although the geek in all of us might prefer talking by tapping away at a keyboard, in glorious isolatioin, with only our cats for company, real life interaction actually has something going for it. James McGrath is seldom mediocre, let alone dull, but since he's had the flu, he has taken things to a whole new level. His Epic of Gilgawest: A Myth of Biblioblog Origins, posted today, is wonderful. Richard Burridge, "Being Biblical? Slavery, Sexuality and the Inclusive Community"
Pullman on "The Good Man Jesus and the Scoundrel Christ"
The book will provide a new account of the life of Jesus, challenging the gospels and arguing that the version in the New Testament was shaped by the apostle Paul. "By the time the gospels were being written, Paul had already begun to transform the story of Jesus into something altogether new and extraordinary, and some of his version influenced what the gospel writers put in theirs," said Pullman . . . . I may be unduly pessimistic. I am inclined to think that Paul had an influence on the Gospel writers too. This is explicitly the case with respect to Luke-Acts, and likely to be important in the composition of Mark. But "the story of Jesus" is something Paul seems inclined to depend on others for, especially given the evidence of 1 Corinthians, and I am sceptical about the "Paul invented Christianity" motif that is often so attractive to those in the early stages of their research. Earlier this week, I mentioned the new affiliation between bibliobloggers and the SBL, and there have been major advances on this story today. Jim West reports A Further Bit of News Concerning the Biblioblog Program Unit in the Society of Biblical Literature and notes that he will chair a new section, with a steering committee made up of April DeConick, Stephanie Fisher, Robert Cargill, Christian Brady and me. I must admit to being impressed at seeing the speed with which Jim gets things done. I've been writing today, and I had scarcely written two paragraphs between the time that Jim had engaged in full and complete negotiations with all of the above, securing agreements and announcing the results. I am very happy to have been invited to participate in this unit, all the more so given the range of expertise on offer. I realize that some are a bit concerned about the affiliation, and about the unit (John Hobbins in Ancient Hebrew Poetry and Chris Heard in Higgaion). I understand the points of view expressed here, and I would hope that we will take on board some of the concerns expressed, but my own feeling is that you really don't know quite how something is going to evolve until you have given it a try. I don't think we need to be pompous or exclusionary or prescriptive, but we can collaborate, listen and learn. We have plenty of time before the Atlanta SBL in 2010, which is the earliest occasion on which the group can meet, so the discussion does not need to be rushed. Some of the very issues mentioned by John and Chris would in fact be pertinent to our discussions, and I would add that the interest that came out of the session on biblioblogging at the SBL in 2005 is testimony to the potential value of a broader, continuing discussion. (1) We spend so much time drumming into students that they must cite their sources and, of course, avoid plagiarism, that some students will hear a mixed message if they are encouraged to use Wikipedia but not to cite it. Weaker students might well feel encouraged to take over material from Wikipedia without attribution and then to think that they are in some way doing the right thing by not citing it. If students have relied heavily on Wikipedia, then there is a problem, and it is one that is not solved by not citing it. David is not, of course, advising this, but I would want to be careful about giving students this advice lest the weaker ones misunderstood it. (2) The ideal is to encourage students not to read Wikipedia but to write it. Whenever I am asked about Wikipedia in class, this is the response I give -- that they should be writing it as well as reading it. In other words, the students on our courses should get to the point where they know enough about the topic, and understand it clearly enough, that they see the need to correct errors, expand unclear information, add citations and generally improve the resource. I lead by example here and often make small corrections on articles I find on the site, especially when they relate to Doctor Who and especially when the grammar is bad. (Incorrect use of "however" is one of the greatest irritations). I am delighted with the work that Holger Szesnat, who has joined the team at the NT Gateway, is doing in populating the site with lots more valuable resources. You can keep an eye on all our updates by following the NT Gateway blog. I uploaded the latest NT Pod last week, Ep. 11, on Wealth and Poverty in Luke's Gospel. I don't have a lot to add to this one by way of programme notes except to add that the ideas I discuss here are developed in a little more detail in my Case Against Q: Studies in Marcan Priority and the Synoptic Problem (Harrisburg, PA: Trinity Press International, 2002), Chapter 6 ("How Blessed are the Poor?") where I attempt to build the case for Luke's narrative interest in poverty as a prerequisite for discipleship, at the same time as noting the importance of the theme of eschatological reversal involving rich and poor. Non Q sceptics should not worry -- I did not even mention Q in this podcast. I just wanted to share some of the broader issues that emerged when I was thinking, some years ago now, about the likelihood that Luke was the one responsible for the wording of Luke 6.20. A couple of mentions on Paleojudaica too. Jim West and Kent Richards on the SBL site announce a new affiliation between the SBL and bibliobloggers, and we are invited to use the logo here. As Jim mentions, this is something that we have been talking about for some time, beginning at least as far back as the Philadelphia SBL 2005 meeting, with thanks to Jim and Kent for bringing this to pass. Remember this cartoon? No? All will become clear in a bit. The occasion to dig it out is the recent, welcome resumption of the discussion about gender issues in biblioblogging. I am delighted to see April DeConick, over on the Forbidden Gospels Blog, raising the issue of the disproportionately high ratio of men to women bloggers, in a lively post entitled What are we going to do about the blogger gender gap? This issue is one that many of us have been concerned about for some time. Back in 2005, it was one of the hot topics on the blogs, and it was one of the major discussion points at the SBL session on biblioblogging at the Philadelphia meeting in November 2005, not least because there were nine men -- and not a single woman -- on the panel. (I take responsibility; I chose the panel and could not find a single female biblioblogger to invite). Paul Nikkel and Yasmin Finch problematized this, and the subsequent discussion was fascinating, if inconclusive (See, among many other posts, Identity, Schmidentity @ Deinde; Death of the Biblioblog? ; Stop obsessing about biblioblogging; and a great round-up on Hypotyposeis, Sans-biblioblogue). One of the more amusing things to come out of it was Tyler William's satirical cartoon above, over on Codex: Blogspot (where the image has since vanished), though the discussion was serious. Several of us were concerned, in particular, that we were seen not only as the symptom of the problem, but also its cause, that we were actively excluding women bibliobloggers from joining a club that we had created. Of course we are right to be concerned about the lack of women bloggers in our area, but I am not sure that the issue is fruitfully dealt with by our obsessing about it. To problematize the phenomenon actually runs the risk of making it more difficult for changes to happen because we draw too much attention to the current situation, unduly isolating current and potential women bloggers. In other words, I am becoming increasingly convinced that the current lack of women bloggers is a situation not well served by a bunch of men sitting around frowning about it. I suspect that that was not the ideal response and, if so, I repent of it. But I was genuinely unsure about how to try to change the situation for good, and I suspected that our discussions were only making things worse. Looking back on it, and on other related episodes (e.g. see Pat McCullough's comments on kata ta biblia), what we needed was exactly what we now have: someone like April DeConick to take things forward. I, for one, appreciate her rallying cry, and hope that it will encourage more women to join the blogging fray. In other words, I like the fact that it's less a matter of soul-searching ("Enough of this nonsense and rationalizations") and more a matter of encouraging women to take action. If I have a concern about April's recent post, I think I would be inclined to caution against the idea that there is some kind of conspiracy by men to marginalize women's blogs in the area, e.g. it seems clear to me that the person behind Biblioblog Top 50 is part of the solution and not the problem; we are lucky to have someone so well attuned politically running that chart (Anyone who quotes Sugi favourably is a friend of mine). But he may be Wrong and I may be wrong. Sometimes, the way that these things work is subtle, hidden, unconscious, and we are too dense to see it. I doubt that April will be able to find 270 women bibliobloggers who have been ignored and marginalized, but it would be fantastic if it turns out there are so many. But I also wonder about the role of networking and way that many of the blogs in the top tier regularly reference one another. How do we encourage each other's success, make sure that others find the good work that's out there?" This is an excellent question. One suggestion here would be not only to ask the male bibliobloggers to link more and to engage more with female bibliobloggers, but also to advise female bibliobloggers who feel themselves to be invisible to engage more with others on the scene, to link, to discuss. In other words, it is quite possible that male bibliobloggers are a cause as well as a symptom of the problem, but it is also worth considering the possibility that those, like me, who would like to call themselves feminists, may also be part of the solution. The Revised NIV and "sinful nature"
Lots of the blogs (e.g. Better Bibles Blog) are reporting the news of the new version of the NIV (New International Version) to be released in 2011 (announcement here at NIV Bible 2011, including webcast). As far as I can see there is no sign yet of what it will be called, but new Bible translations are always great for demonstrating the folly of calling things "new" since "new" soon becomes not so new, and eventually it becomes old. "New Revised Standard" is one of the best pile-ups of adjectives yet. "Today" has already gone in the previous revision, the TNIV. Perhaps the NIV can be the Revised New International Version? Or NIV 2.0? "NIV Bible 2011" is going to date even more quickly, one would have thought. As far as the content is concerned, I will be disappointed if they regress to some of the non-gender-inclusive language of the NIV. But there is one thing I will be looking for more than anything else, to see if they finally drop "sinful nature" as a translation of sarx in Paul, which was retained in the TNIV. It makes it unusable as a translation for teaching Paul. Update (21:14): In comments, Matthew Montonini notes this interesting article (PDF) on the topic by Douglas Moo, who is on the CBT, the board that oversees the NIV translation. NT Blog Six Years Old Today! Well, there are a few more people blogging now! This last year has been one of the most important of the six, not least because half way through the year, the old NT Gateway blog morphed in to this NT Blog, taking the archives with it and migrating to a new URL. At the same time the NT Gateway, which stayed at its old URL, NTGateway.com, had a major reboot as I went into partnership with Logos. The improvements to the NT Gateway continue, and you can follow all the progress over on the NT Gateway blog which launched in February along with the new site. There are several exciting developments to come there over the coming weeks. (February was the big month -- Developments at the NT Gateway; Blog changes; New Blog URL; Blog Migration Success; New NT Gateway site launched; New NT Gateway now live). The other development around here over the last year or so has been the launch of my NT Pod over on http://podacre.blogspot.com. I began this project after experimenting informally with a podcast in teaching last semester. There are ten episodes of the NT Pod so far, and it's something I am enjoying. As regular readers will know, I sometimes post programme notes here on the NT Blog too. Many thanks for the support and encouragement over the last six years. I wonder if I will still be blogging in 2015? Nikolas Sarris spotted a previously unseen section of the Codex Sinaiticus, which dates from about AD350, as he was trawling through photographs of manuscripts in the library of St Catherine's Monastery in Egypt . . . .
. . . . A Greek student conservator who is studying for his PhD in Britain, Mr Sarris had been involved in the British Library's project to digitise the Codex and quickly recognised the distinct Greek lettering when he saw it poking through a section of the book binding. Speaking from the Greek island of Patmos yesterday, Mr Sarris said: "It was a really exciting moment. Although it is not my area of expertise, I had helped with the online project so the Codex had been heavily imprinted in my memory. I began checking the height of the letters and the columns and quickly realised we were looking at an unseen part of the Codex." Mr Sarris later emailed Father Justin, the monastery's librarian, to suggest he take a closer look at the book binding. "Even if there is a one-in-a-million possibility that it could be a Sinaiticus fragment that has escaped our attention, I thought it would be best to say it rather than dismiss it." Only a quarter of the fragment is visible through the book binding but after closer inspection, Father Justin was able to confirm that a previously unseen section of the Codex had indeed been found. The fragment is believed to be the beginning of Joshua, Chapter 1, Verse 10, in which Joshua admonishes the children of Israel as they enter the promised land . . . . Most recently, Nikolas Sarris, a member the Codex Sinaiticus Project when he was working in the British Library, noticed, in the process of working through the photographic records from our manuscript survey for his PhD thesis, noticed a familiar-looking script inside the right board of MS Greek 2289. He immediately referred this to the librarian, Father Justin, who identified the text as coming from the book of Joshua and to be a part of the text missing from the known leaves of the Codex Siniaticus. It would appear that this is indeed another fragment of the Codex, but it presents enormous problems. It was used in as a board lining in one of a small group of bindings identified by Nikolas as having been bound in the monastery in the first half of the eighteenth century. At some date, someone tore part of the pastedown away to reveal the manuscript (and in the process apparently removing some of the ink), but there appears to be no further record of it. From a brief visual examination of the fragment, it would appear to be in a badly deteriorated condition with possibly a second leaf under it, but the turn-ins of the leather cover are very firmly adhered to it, as is much of what is left of the paper pastedown . . . .